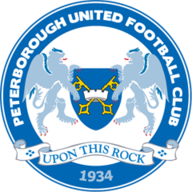 Highlights from ABAX Stadium as Peterborough faced Rochdale in the Sky Bet League One fixture. Referee Chris Sarginson issued three red cards as Peterborough beat Rochdale 3-1 victory in a battle of two faltering League One play-off challengers. The hosts struck twice in the space of three minutes as Jack Baldwin steered in a Marcus Maddison corner (36) before Tom Nichols produced a glorious finish from a Leo Da Silva Lopes pass (39). 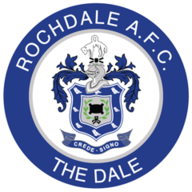 Rochdale cut their arrears within 60 seconds through Joe Thompson before Joe Rafferty became the first man to receive his marching orders. He was sent off in first-half stoppage time after grabbing Maddison to earn a second caution. The visitors were reduced to nine men eight minutes into the second half when Donal McDermott was given a straight red for jumping into a challenge on Baldwin. Posh failed to make their numerical advantage count as Wilson made fine saves to deny Maddison and Brad Inman. And Grant McCann's men were then reduced to 10 men themselves as skipper Baldwin collected a second caution for scything down Ian Henderson. It was a dismissal which briefly gave the visitors a glimmer of hope which was dashed when Paul Taylor rifled in an Inman cross with five minutes to go.